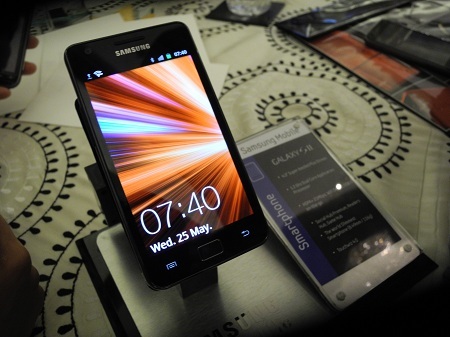 Samsung Galaxy S II (Model: GT-I9100) has heated up the smartphone market. It has blown away the market by creating buzz with its hardware capabilities, unmatched multimedia experience and incredible performance. 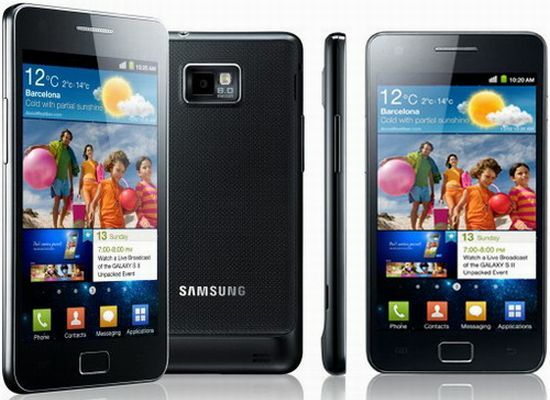 It is the successor to the popular Samsung Galaxy S which sold around 10 million devices worldwide. The model is packed with 4.27 inches Super AMOLED Plus display running on the latest Google Android v2.3 Gingerbread OS, world’s fastest growing mobile operating system, Samsung’s own Exynos dual-core processor and latest iteration of Samsung’s TouchWiz that is TouchWiz 4.0. Dual-core application processor enables fast web browsing, responsive 3D user interface, supreme graphics quality, seamless multi-tasking on the large screen and switching between applications. The AMOLED plus screen delivers crystal clear visual display, edge sharpness and even better visibility in outdoor. This second generation phone includes new content and entertainment hubs by Samsung integrated for providing instant access to games, music, social networking and e-reading. Samsung Hubs offers rich catalog of magazines and books with awesome social life. A new Live Panel service has been introduced in the second generation that clubs application contents and love web together to a single home screen that can be customized. Some of its other outstanding features include 3-axis gyroscopic sensor, Samsung Voice Solution that recognizes voice and converts it to text and vice versa and Customized Voice Translation application. There is also WIFI Direct that allows connection to wireless-enabled PCs and printers without any wireless access points. Rapid mobile download speed is offered with super-fast HSPA+ connectivity and data transfer times are also reduced with Bluetooth 3.0+ HS. It comes sports 8 megapixel camera, 2 megapixel front camera with LED Flash, AF, continuous shot, single shot, panorama shot and smile shot and not to mention 1080p HD video recording. The AllShare technology by Samsung lets you capture, share and create experiences without any hassle. There is 8GB internal memory which is expandable up to 32 GB with MicroSD. The Samsung Galaxy SII is priced at Rs. 32,890 in India and will available via Vodafone on June 3. The keen buyers can also pre-order the device on Samsung’s website starting from May 26 for Rs. 1000. 6GB of free data usage will be offered by Vodafone for its users. The device being launched in India is 16GB model which comes with integrated NFC according to Samsung India. NFC (Near Field Communication) is incorporated to support mobile payment service and other services with mobile operators. The box contents contain leather flip case. MHL bases accessories with USB OTG and HDMI cables will be available soon. 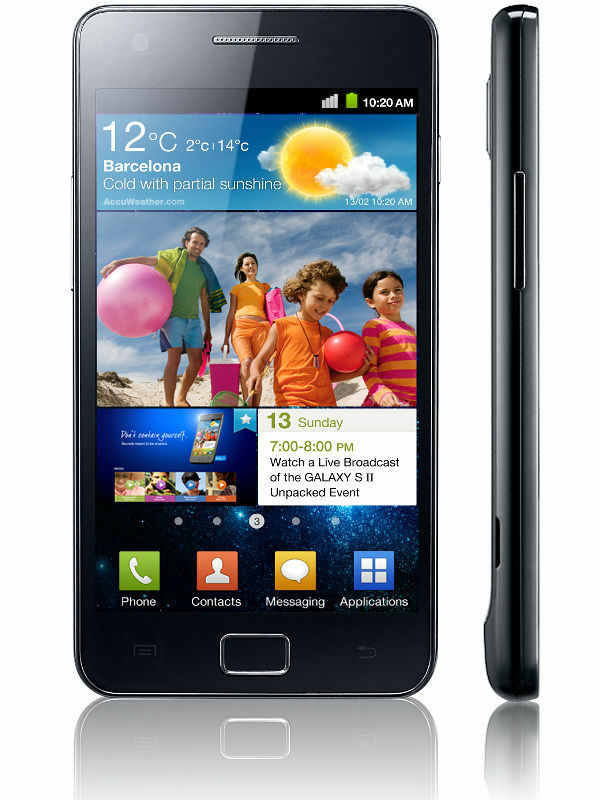 Samsung Galaxy SII is touted as the best Android phone in the market. Compared to other new releases like LG Optimus 2X or Motorola Atrix 4G. It outshines both these models in terms of specifications with the EXynos processor and 4.3 inch super AMOLED gorilla glass screen. However this top end phone is definitely cost a bomb compared to iPhone 4 which is only Rs. 2000 more.